Blue Owl Art is based at Grantham Tennis Club. It is a gallery space with changing exhibitions located in the first floor gallery space and in the bar area. Display cabinet with contemporary artist makers. Browse a selection of original work and prints from various artists. Greeting card selection. Cafe serving homemade cakes, lunches, snacks. Free parking. Lift available to gallery level. 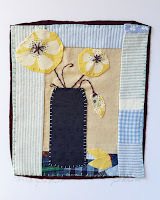 Linda Hollaway is exhibiting at Blue Owl ‘Butterflies & Nets’. Her work is currently on display in the upstairs gallery and in the bar area. Linda taught art for 25 years in Primary, Secondary and Further education. 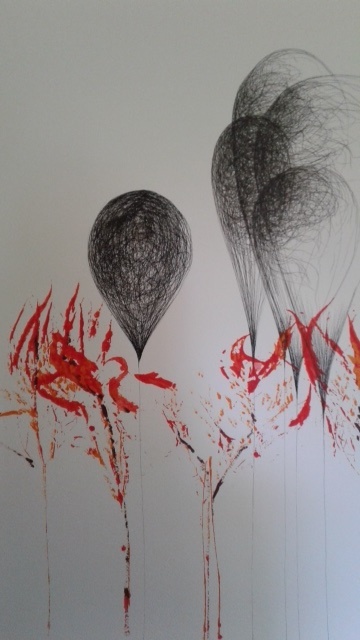 Since taking early retirement she gained an MA in Fine Art with distinction from the University of Lincoln where she became involved with the exploration of human fragility. 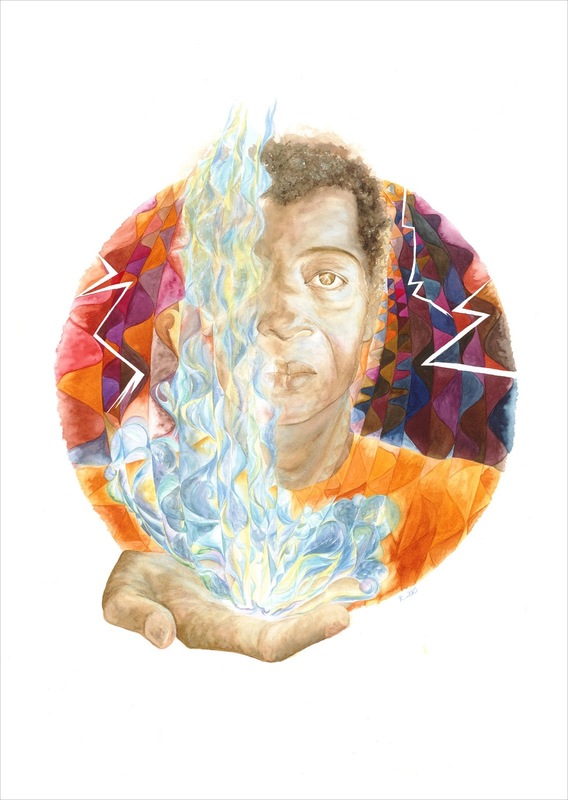 This exhibition is in recognition of the altering and diverse state of mental health. Carolyn J Roberts is a Fine Art graduate from Loughborough University. Currently based in Leicestershire, she has exhibited throughout the East Midlands. 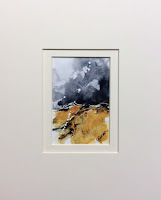 Carolyn’s work develops from her affinity for the landscape; from The Peak District, Yorkshire Dales and Moors, to the North Norfolk coast and beyond…Her mixed media work looks to capture the juxtaposition of permanence and vulnerability: the contour lines of the landscape contrasting with the delicacy of the tissue paper, soft ink and watercolour washes. Impressionistic and abstract rather than representational, the work is her response to the landscapes she loves and the issues it faces. 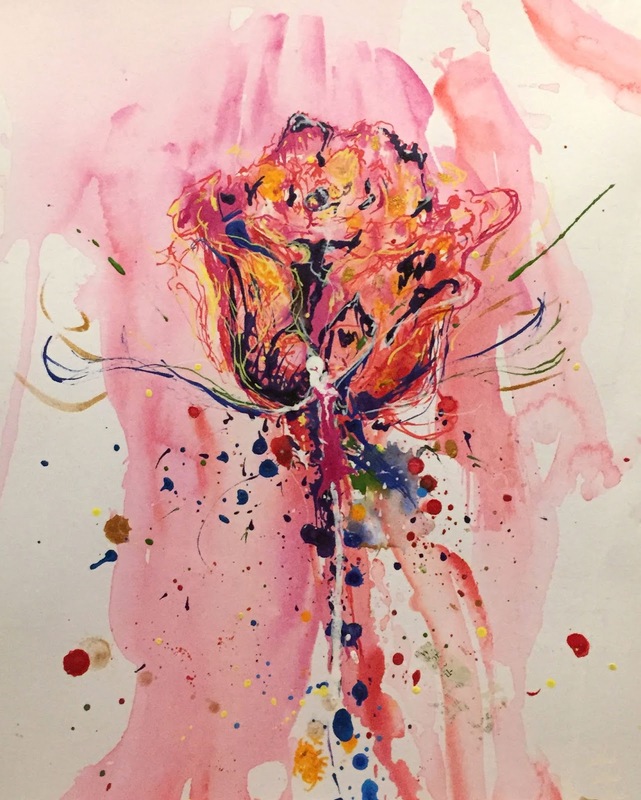 Oliver Lovley BA Hons, ASGFA has exhibited at The National Portrait Gallery, The Mall Galleries and at live shows such as Art in Action and Patchings Festival. 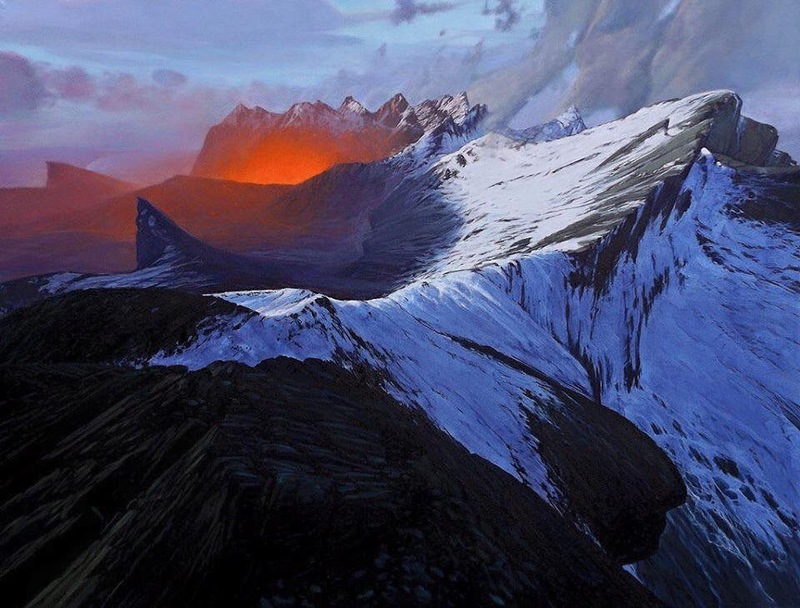 He is a member of the Society of Graphic Fine Art based in London. A professional fine artist and art teacher born in Grantham he is now based in Nottingham. 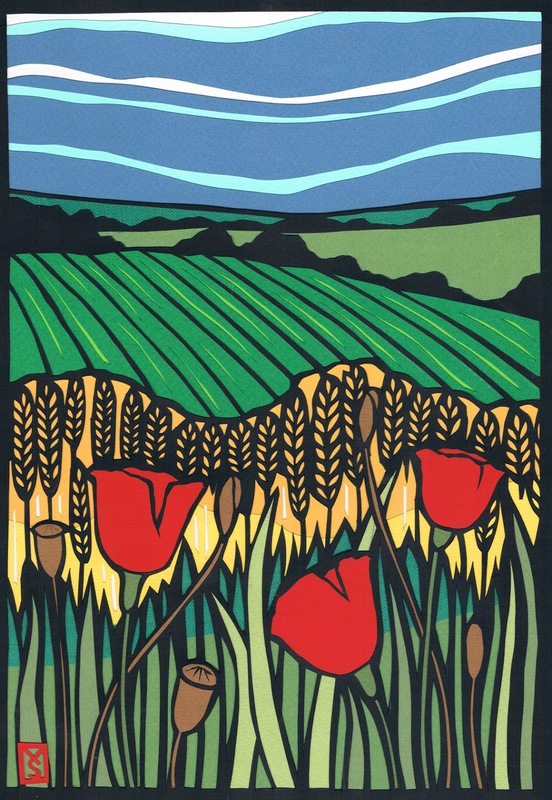 Vic Bearcroft has exhibited with Blue Owl several times including a recent solo exhibition. An East Midlands based professional wildlife and portrait artist Bearcroft spends many hours studying, sketching and photographing his subjects at close quarters, mainly in conservancies in the UK and USA. ‘Some of these animals I know intimately after several years of working with them and I find their character shining through their eyes. 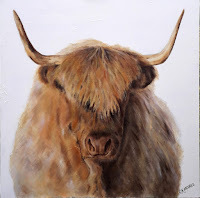 I enjoy working in a variety of mediums, as I feel that this helps to fuel my creativity, and enables me to different moods to compliment the subject, or to tell a story by setting the animal in a more natural environment. My influences come from varied sources; art, music and literature. John’s award winning paintings are inspired by the mountain ranges of the Isle of Skye in Scotland, specifically the Black Cuillins. This is a choice based on the drama and visual spectacle of these rugged coastal mountains where he climbed. John found that exaggerations of the landscape and ‘stretchings’ of the viewpoint geometry produced a new and compelling topography. Strange forms and dramatic radial compositions emerged from the experiments, twisted mountains began to suggest a human form or animal presence, the landscapes now extending almost into the shapes of portraiture, expressive of some new emotion even. Vanessa is a paper cutting & collage artist who uses a scalpel and scissors to draw into paper, making bold and distinctive collages that are all about capturing a place and a time. “Nature and the places around me inspire me a great deal. I can never get enough of seeing old buildings or streets and wide open fields! 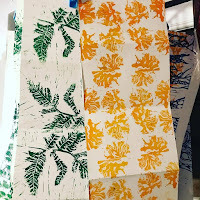 Walks in the woods, day trips in the car to explore and go on an adventure –the things I see bubble up through my subconscious and into my sketchbooks or into cut paper pieces. 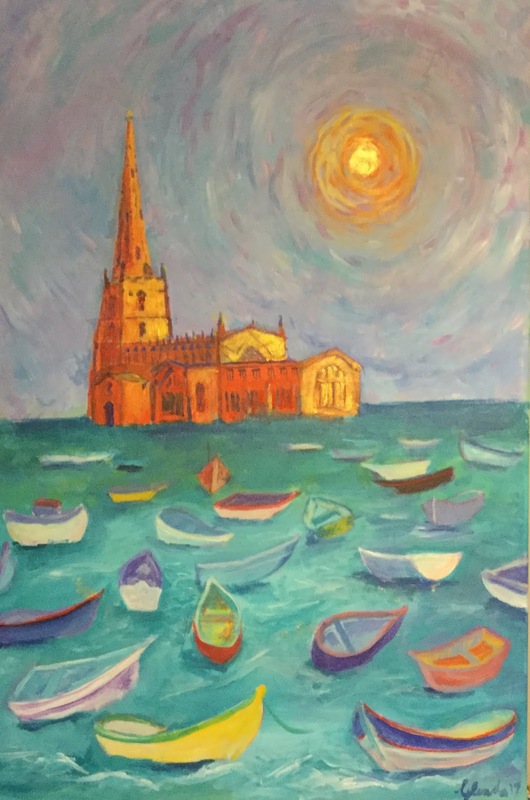 Around 18 artists offer a group exhibition of approximately 80 paintings of various size and different media by members of the Vale of Belvoir Art Society. Subject matter varies greatly and works will be a number of unframed, mounted pictures available for sale as well. Refreshments including lovely cakes will be available to buy also. 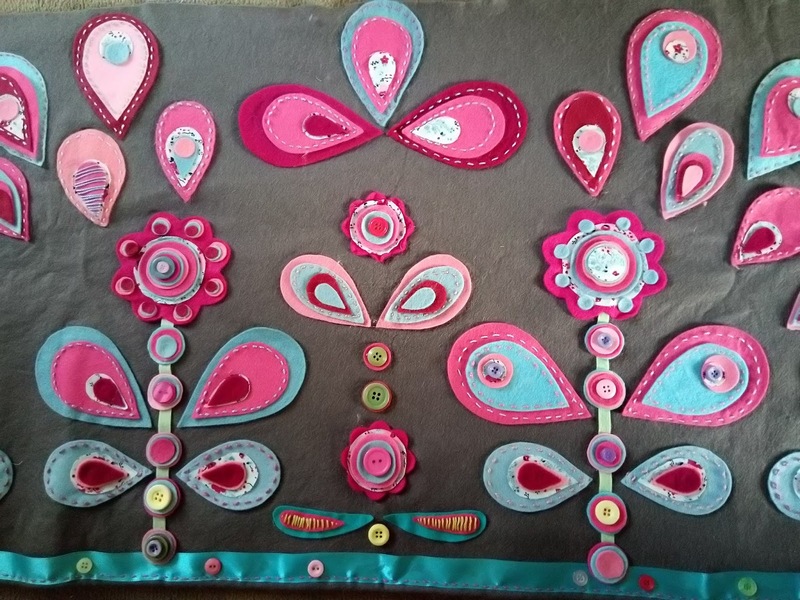 A selection of textile artworks by Michelle Baker of the Newark based textile and stitch creative workshop Crafty Betty. More work will be available to view in the Art & Soul Studio Space as part of Kooroon Gallery (see below). Glass has always held a fascination . The beauty of stained glass led Katie to explore the magical way glass can be used as a medium to express. After graduating from the University of Sunderland Katie continues to explore colour, texture and light within the techniques of kiln fused glass. Experimentation with coloured layers, dilution and a variety of textures are at the base of each piece. The technical processes of deigning, firing and finishing pieces continue to offer endless possibilities for development and discovery. 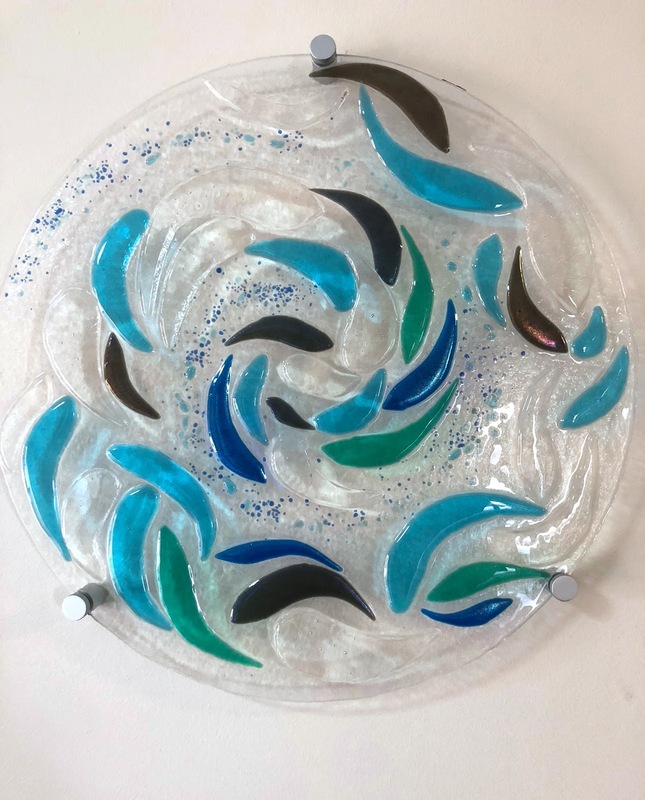 Within the Pure Glass Design range Katie creates glass pieces incorporating beauty and functionality including; kitchen splashbacks, wall art, clocks, plates and tableware. 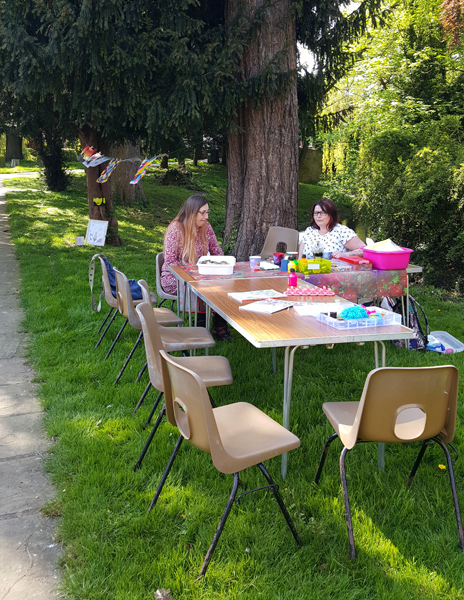 A new venue in Bottesford consisting of two main Gallery spaces, the Long Gallery and Cox Gallery plus a flexible teaching studio space called the Art & Soul Studio and a Quiet garden at the back. Refreshments available. Toilet on site. Rosa has a passion for gardening and the natural world, and a fascination for kaleidoscopes. Watercolour is her preferred medium to create. She loves watercolours' bright, fine pigments. Rosa has been exhibiting for about ten years in various places – theatre lounges, cafes, Open Studios and Coventry Cathedral! With her husband Roger, she runs Worship Art workshops, mainly from a church based at Coventry Elim. Glenda is an expressive painter who uses bright colour to explore her joy of the world and her relationship with God. 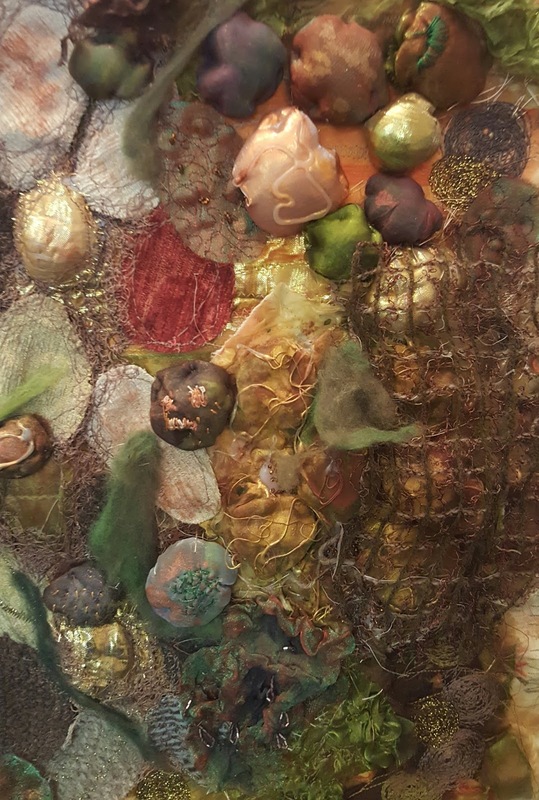 From water scenes, to houses and hearts, Glenda’s work is alive with the interplay of colour and texture. 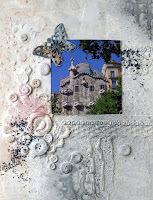 She loves experimenting with new materials and styles and includes various surfaces in her work. Her recent love is painting in oils. Dian is the studio owner and a painter and teacher of Decorative Art and Mixed Media. She was an inaugural member of BADFA (The British Association of Decorative and Folk Art) and lived for several years in America. She has been lucky enough to have been taught by some of the most well known teachers of Decorative Art and during her career taught around Britain, America, Canada, and as a guest teacher in Japan. Derbyshire born Catherine Moores has lived in the Vale of Belvoir, Leicestershire for over 25 years. Working in acrylic and oil paints as well as pencil Catherine covers a wide range of subjects including landscapes and seascapes, although animals are considered a speciality. Catherine has had a passion for art since being a young child. She has worked a number of jobs including those with horses and dogs but art has always remained her main passion. She’s built a strong reputation over the last 10 years, completing numerous commissions and holding her own art exhibitions. A textile surface pattern designer, Sarah’s most recent work revolves around experiments with felt images. 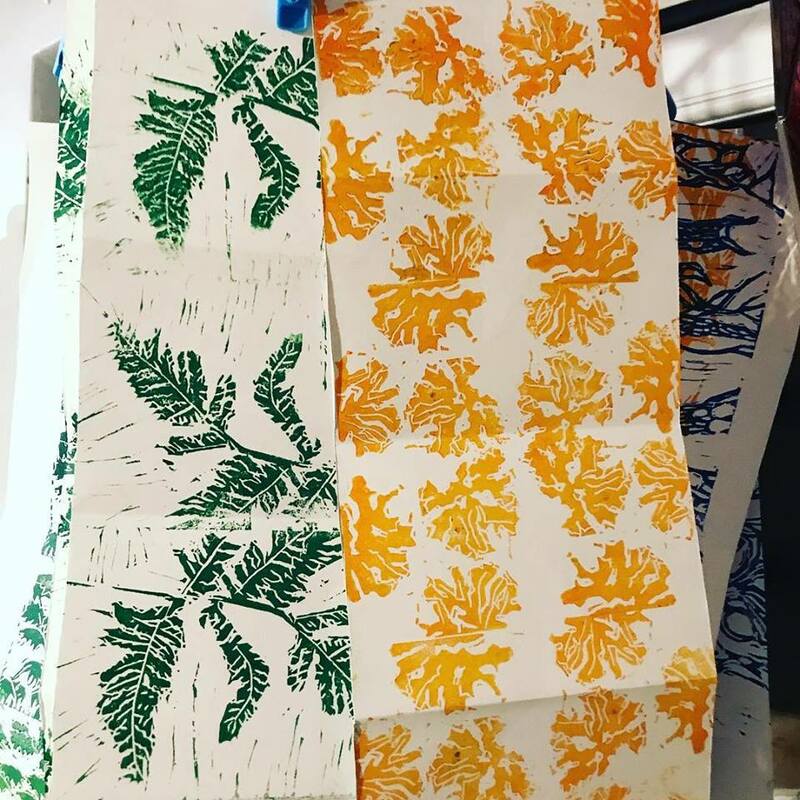 Influenced by ‘outside life’ and surface pattern designers, Sarah is aiming to share her work through this experimental stage of her life. Other exhibitions include textile work by Ros Willis and further work by Katie Hinder, Vanessa Stone and Crafty Betty further details of which can be found in listings above. Copse Collection is an installation for which two artists have taken woodland adventuring and random rambles as their stating point to explore the wonder of walking, playing and generally being outside. 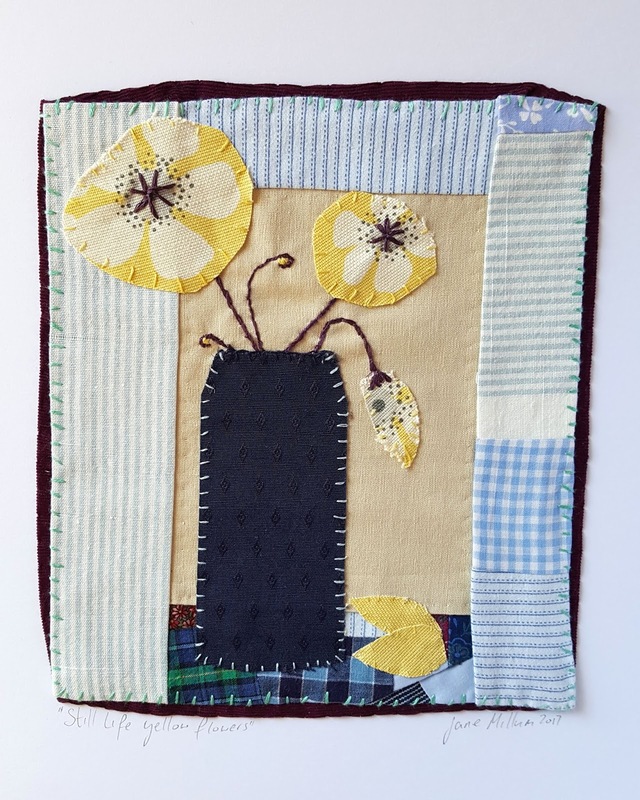 Textile artist Jane Millum works as PollyWhistle to create curious and quirky stories of Faux-Lore involving the lives of characters both real and imagined. 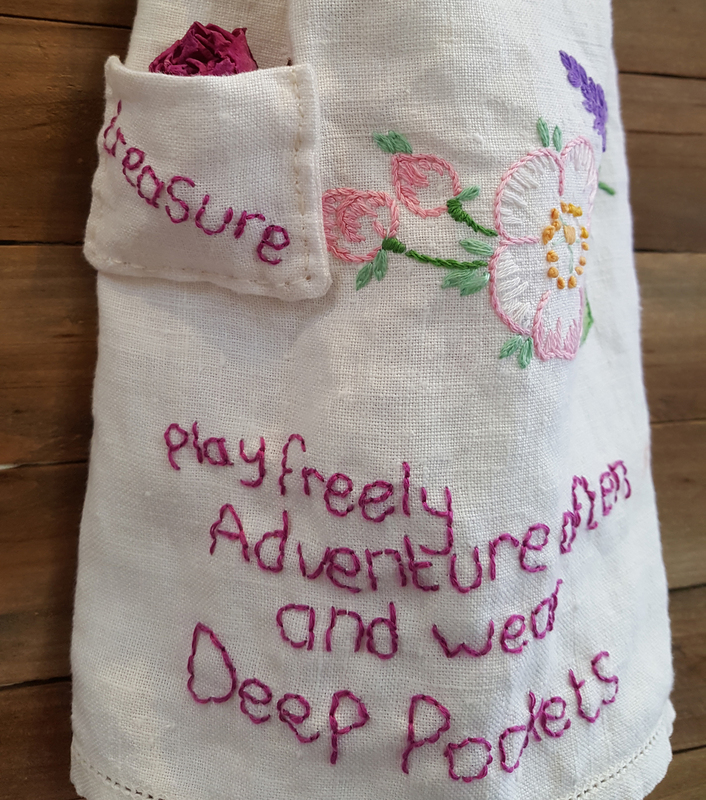 For this installation Jane uses reclaimed textiles and found materials to comment upon the nature of playing, adventuring and collecting real treasure, not to mention the importance of pockets. 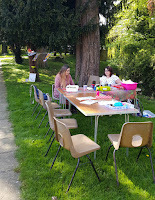 Information Point for Belvoir Art Trail, Here you can meet some of the organisers and artists as well as pick up maps, business cards and further information. Heidi runs a special family friendly workshop making dream catchers. Suitable for children aged 7 upwards if accompanied by an adult. 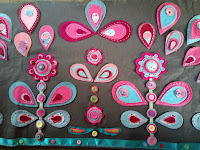 This is a free make and take session offered on a first come first served basis. You'll find painter/printmaker Donna Drouin staring at flowers and stars, photographing details, trying to develop an understanding of how and why. A prolific sketchbook filler Donna collects surfaces, textures and architectural details to work into her paintings and prints like a secret language. Using layers of under painting to build up rich tones in her paintwork the same way a printmaker uses layers of colours to build an image, Donnas work communicates her wonder of the universe we inhabit, her love of God and an understanding of science all together in one place. Wood working workshop, with displays of hand carved wooden bowls, pots and spoons, also insect boxes, bird boxes and other items made from locally sourced hard woods and reclaimed timber and metals. 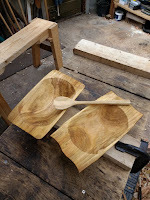 Hand carved items made from cherry, apple, plum, beech, hawthorn, chestnut and rowan have been used for centuries as useful and beautiful things for every home. Nowadays thousands of tons of wood are left on the ground to rot, chipped for compost, or buried in landfill. 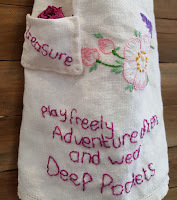 I am exploring how I can use my own designs to create useful and sculptural items from found, rescued and donated materials. My insect hotels and bird nesting boxes are made from reclaimed timber - donated by friends and neighbours or found abandoned or discarded as rubbish. There is a story behind everything I make. The White Robin Emporium is a home to various crafters, artisans and artists. We also sell home and gift-wares as well as vintage collectables and china. We have a workshop space which we rent out to people to teach their skills to others eg felting, art classes, willow weaving etc. and run furniture painting and other decorative home courses ourselves. After graduating in Fine Arts in 2015 Willow retuned to Grantham to focus on her career as an artist. She is most commonly associated as a feminist artist, with a focus on the female form, but admits to being distracted by beautiful things and buildings, which influence the illustrative side of her practice. Sharon lives and works in Burton Lazars, where she creates original, unique and interesting contemporary mixed media collage, cityscapes, nudes, watercolours and acrylic art work. 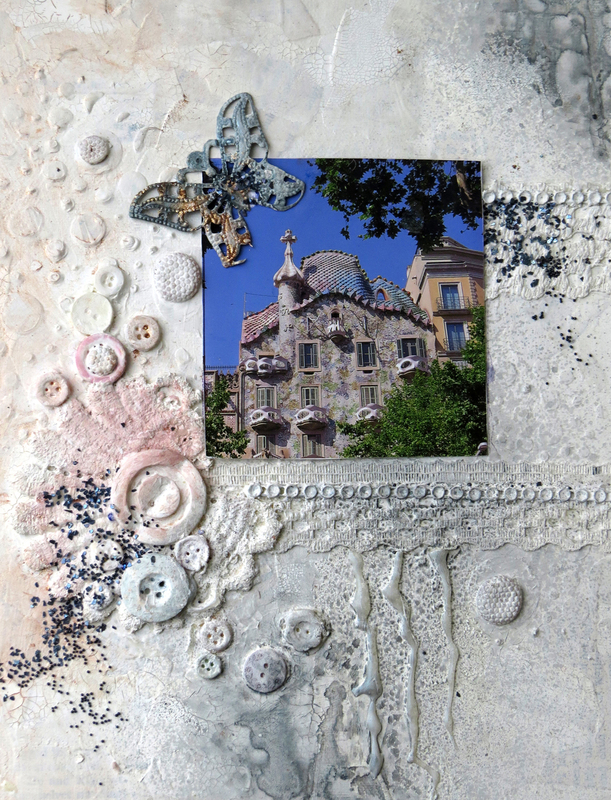 Sharon creates her collages using photos, print work, found paper, torn and cut newspaper, and adds stencilling, stamping and other paint mediums. Alison and Chris work together to create many and varied beautiful items each crafted from silver plated cutlery. These range from earrings to necklaces, bracelets to wine racks, coat hooks to bangles and rings to candle holders. A truly unique and beautiful product. Tara makes hand poured candles, diffusers and wax melts. All her products are vegan, plastic free and use sustainable ingredients sourced locally where possible. She has a wide range of fragrances to include pomegranate, peony and vanilla, orange, basil and lime, and English rose. Paul has a variety of wooded products that he can personalise with words to suit every occasion. Eg boxes with ‘wedding keepsakes’, photo frames, which say ‘love you to the moon and back’, plaques that read ‘ Great Dad’ that also have a picture on them. You name it, he can etch it. Mark is a very talented electrical genius. He can turn everyday items into quirky lamps. Eg a set of Victorian scales, a copper kettle, a set of crown bowls. He also turns wood and makes unique pens and pencils. Lisa creates unique and individual pieces of jewellery from polished foraged sea glass. Each piece is assessed for its suitability as to whether it would make a good necklace, bracelet or pair of earrings etc. They are then mounted with silver clasps and chains. Truly stunning in a subtle way. A true British brand, all products are hand crafted using British and locally sourced textiles. An iconic collection of soft furnishings and accessories inspired by the countryside where Tatty is located. A wonderful range of hand sewn bears made from her own patterns from quality fabrics such as mohair. Each bear has its own unique endearing expression. Alison also makes fabric dolls and mice which are dressed to perfection. John makes a wide range of toiletries all created from natural fruit and vegetable oils and with natural fragrances. These include facial serums, beard oil, soap, balms, and a vegan lip balm. He does not use palm oil, or single use plastics. May is a whizz with the jam pan. She can and does create a wide and varied range of preserves always with a seasonal twist. She grows some of the fruit and veg in her garden and buys the rest locally. Her products contain no added pectin or salt and she tries to use Victorian recipes where possible. 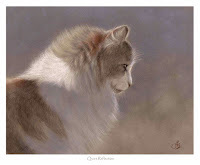 Ann is a very talented artist who uses oil on canvas, mixed media, and watercolour. She also sells prints and has a range of cards. Her colour palette is soft and muted, which creates a beautiful easy to place picture. Ann also uses papier mache to create individual bowls, dishes and vases. Jannett has a range of hand-made pottery to include pigs, bowls, vases, toadstools, pincushions, and greetings cards. Each piece is individual and shows the care and attention with which it has been created. Her glazes are and finishing details are wonderful. Michele Kettle – Hand crocheted blankets, throws, toys, baskets. Michele crochets in her spare time and makes baby blankets, bedspreads, throws, children’s toys, baskets and assorted other pretty items.